In order to get the best out of our appliances and to keep them in good working order, making sure they are maintained is a must. Maintaining them doesn’t have to be a chore and you could save yourself time and money in the long run. 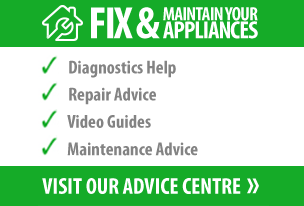 After all, appliances need some TLC too, so try not to make it a habit of leaving them in a poor condition. If you are looking for a natural cleaner to use for cleaning jobs around the home, a lemon could do just the job. The citrus fruit not only deodorises with its fresh smelling scent but is also easy to implement into cleaning tasks, with no harsh chemicals involved. Find out how lemons can be used in everyday cleaning. Not the most difficult of tasks but an important one nonetheless. When putting our shopping away in the fridge we tend to just place it on a shelf wherever there is free space. However, to keep foods fresh and to stop the risk of contamination, there is a method to which particular foods should be placed onto which shelves. Learn more about the organisation of fridge food! Distilled white vinegar is a traditional cleaning solution that has many uses around the home. It is also known for its descaling properties and might just become your home cleaning staple. Find out some of the ways you can use this highly versatile product. We all have jobs around the house that we put off as they are time-consuming or require too much effort, however as it’s the New Year, it might just be the time to do those appliance jobs you hate. You can also start the year as you mean to go on, with gleaming appliances! With the blustery, wet and cold weather, we spend more time indoors during this time of year. Humidity levels can rise in homes creating a range of problems, which in turn can aggravate allergy sufferers, making conditions less than warm and cosy. A dehumidifier can help combat humidity levels in the home for the following issues. It might be the appliance you never knew you needed! Saving the planet can seem like a daunting task, and you may not know how or where to start. However, it can be so simple. 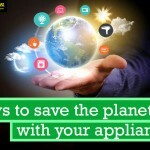 This blog post talks about ways to save the planet with your appliances. It can all start with small changes made in the comfort of your own home, which can result in big impacts, for you and the planet. Waiting around for a replacement part with your appliance out of action is very inconvenient. Even if you’ve chosen to get your spares delivered the next day it can still be a hassle to wait for them.